Misunderstandings of biometric patient identification technologies was a recurring theme we observed at the 41st Annual NAHAM trade show. Last week we wrapped up participation in the 41st Annual National Association of Healthcare Access Management (NAHAM) trade show in Indianapolis, IN. 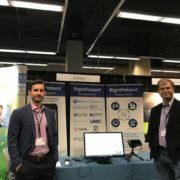 We were happy to be represented as a healthcare biometric patient identificaiton and data integrity vendor, demonstrating the strength and ubiquity of our solution and offering demos of iris recognition as a smart modality to consider for patient ID in a healthcare environment. Misunderstanding – All biometric patient identificaiton technologies have the ability to prevent duplicate medical records, eliminate fraud and ID theft in real time, and improve medical data record integrity. Clarification – The ONLY way to prevent duplicate medical records and improve patient data integrity with biometrics is to implement a system that, during patient enrollment, compares a captured template against ALL stored templates in the biometric database. This is known as a “one-to-many” (1:N) comparison. 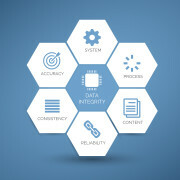 It’s also the only way to ensure high levels of data integrity across the HIE or IDN. Takeaway – Understanding the differences in biometric matching is vital if you expect the system to prevent duplicate medical records and improve medical record data integrity. 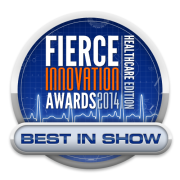 If you are relying on biometric patient ID technology that segments the EHR database (i.e. – entering a date of birth) prior to performing a search, this is not a true way to prevent duplicates, fraud, or medical ID theft. Misunderstanding – Biometric hardware devices that require patient contact are acceptable in a healthcare environment. Clarification – Biometric hardware modalities that require physical contact by a patient do not support hospital infection control policies and open the door to spreading germs and illness. Plus, patients are less likely to enroll in a biometric patient identification system that requires physical contact (e.g. – palm vein and fingerprint) over modalities that do not require any contact (e.g. – iris recognition). Takeaway – Patient acceptance and subsequent enrollment in a biometric patient identificaiton initiative is critical to the success of the deployment. Patients are less likely to enroll in a biometric patient ID system when it requires physical contact with a hardware device. Misunderstanding – Experience in the biometrics industry doesn’t matter in the context of deploying a patient identification system within a healthcare environment. 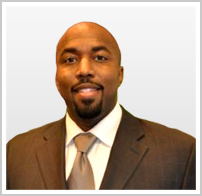 Clarification – The success of any biometric identification management deployment is largely dependent on a solution provider’s experience deploying biometrics in a variety of physical and geographical environments to draw from that wisdom and customize the solution to fit the unique needs of any end user. 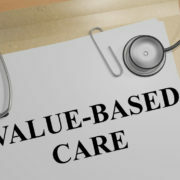 Chances are, healthcare facilities would rather work with a vendor that has a long track record of deploying biometric identification management projects around the world in a host of environments with varying conditions and has the ability to discern implementing the most effective and sustainable hardware and software solutions that will maximize return on investment (ROI). Takeaway – When performing due diligence on biometric patient identification vendors, don’t discount experience as a key factor in your decision to invest. 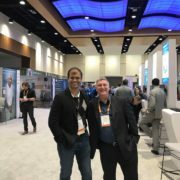 Vendors that have a long history of experience in deploying biometric technology in a variety of industries and offer cloud applications, system integration, high-performance computing, human factor engineering, and machine learning helps to ensure that you will always be provided with innovative, scalable, practical solutions that are the best possible fit for your needs. Misunderstanding – Biometric patient identifcation technologies only apply to patients who have physical identifcation credentials. Clarification – We heard quite a few attendees comment that due to limitations in their existing biometric patient identification solutions, they only enroll patients who can physically present official identification documentation leaving all other problem areas unaddressed (e.g. – patients without identification, “frequent flyers,” drug seekers, etc.). The truth is that a core value of an effective biometric patient identification solutions is it’s ability to enroll ALL patients, regardless of the conditions that exist to truly capitalize on the purpose of implementing the system – to protect patient safety and eliminate duplicates, fraud, and ID theft. Takeaway – Biometric patient identification vendors who offer the ability to reliably verify a patient’s claimed identity prior to his/her initial biometric enrollment add more value by ensuring that a patient can verify their claimed identity which produces cleaner data. 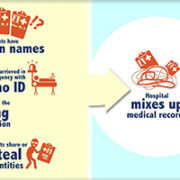 As a biometric patient identification solution provider who spends a lot of time at healthcare trade shows listening to feedback from healthcare professionals on their perception and understanding of this technology, we hear quite a few misunderstandings about how it actually works and a solution’s capabilities to accomplish the stated objective of increasing patient safety, eliminating duplicate medical records, and preventing fraud and medical ID theft. As a biometric technology vendor with over a decade of experience implementing solutions in a variety of verticals and environments around the world, we understand the criteria that leads to a successful deployment. Please visit our “Resources” Web site page to learn more about biometric patient identification and dispel some of the common misunderstandings that exist. What was your biggest takeaway from the 41st Annual NAHAM conference? P.S. – Congratulations to Anne Marie Mariani, Corporate Director of Patient Access at St. Luke’s Hospital and Healthcare for winning the $100 Amazongift certificate we raffled off at our booth!